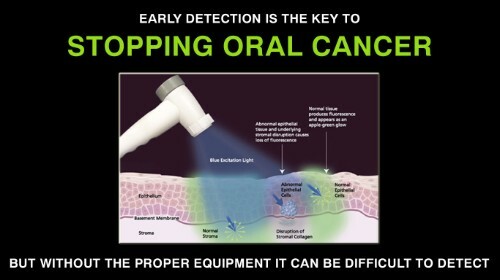 View VELscope video by Dr. Oz __ Click here. 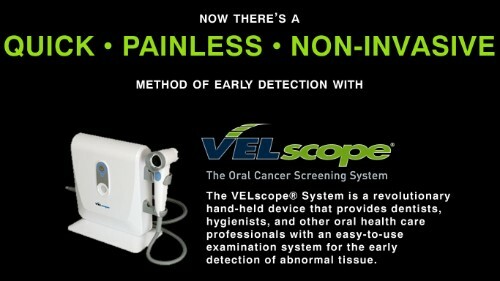 VELscope is a non-invasive procedure. Dr. Tuthill will hold the instrument a couple of inches outside your mouth. 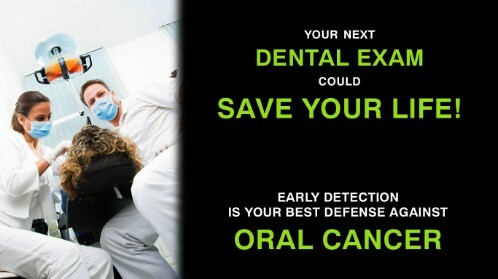 A luminescent light will shine in your mouth. 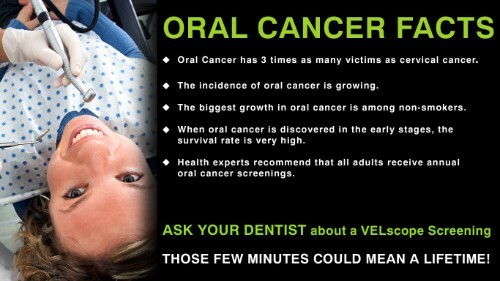 Dr. Tuthill will look through the viewer to look inside your mouth. A few minutes of viewing and your finished.